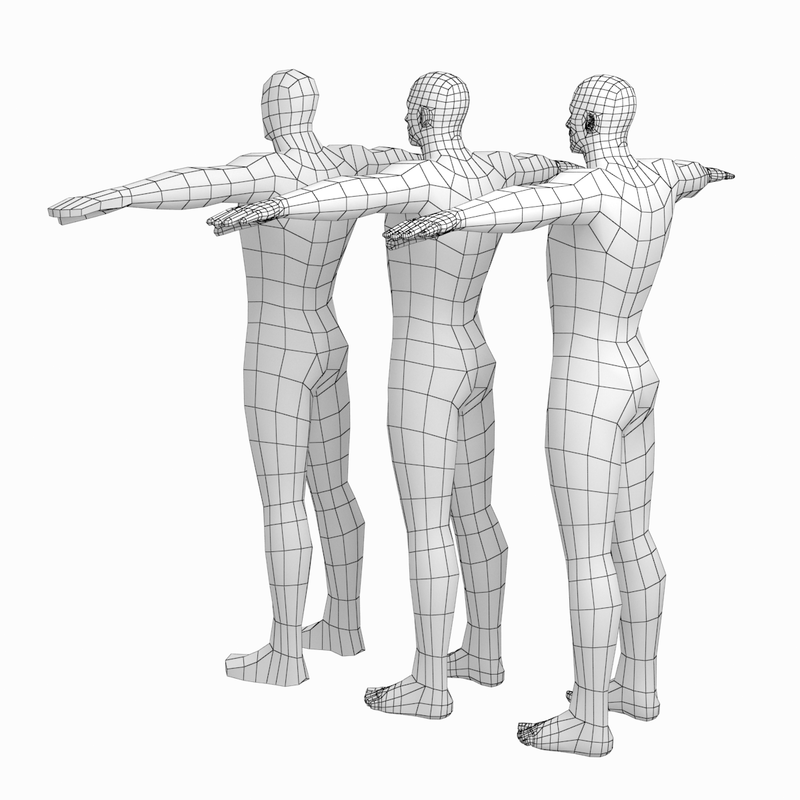 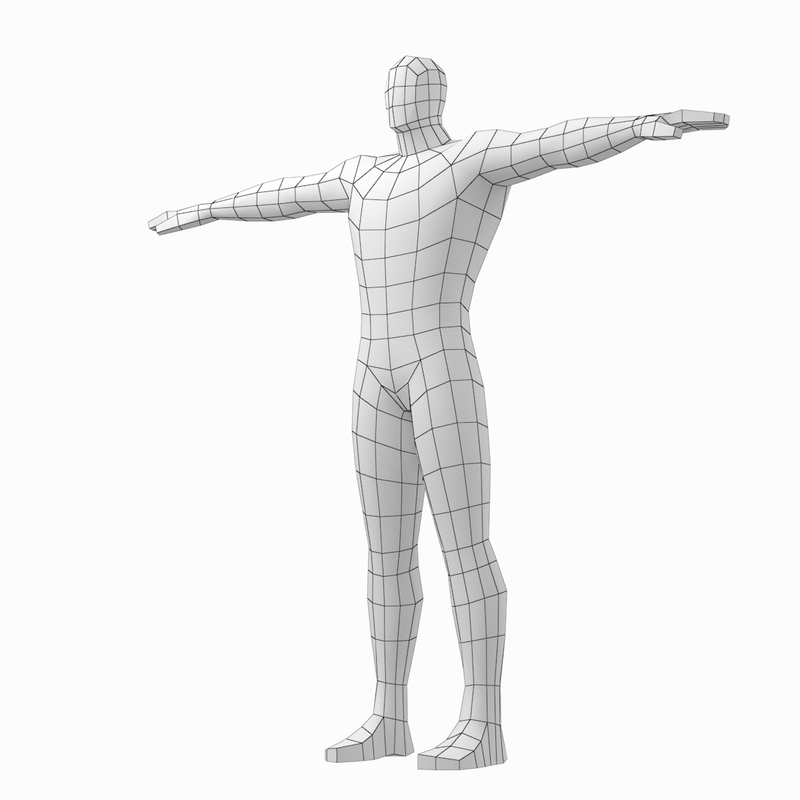 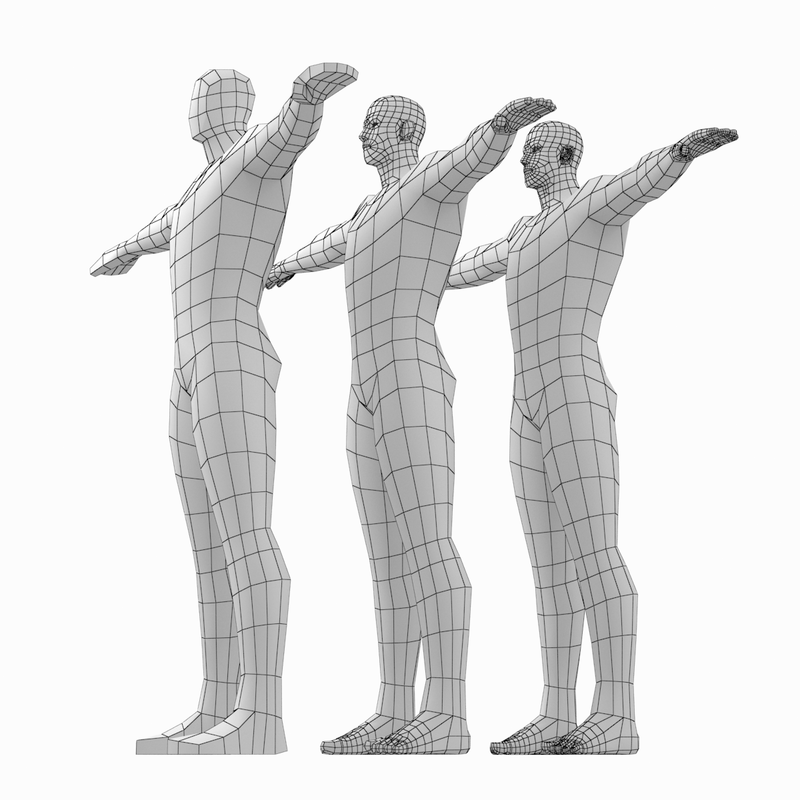 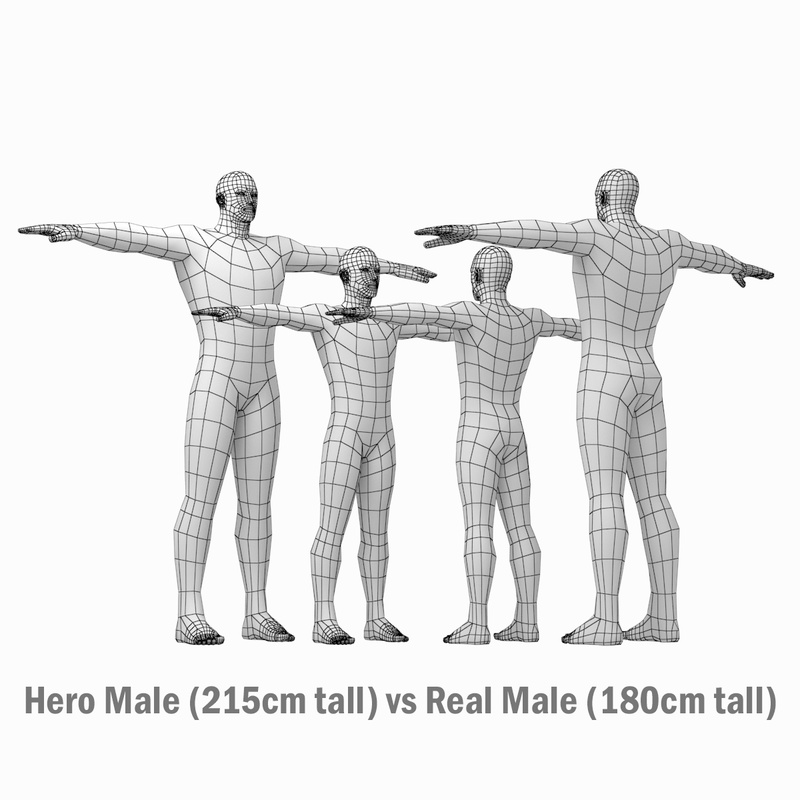 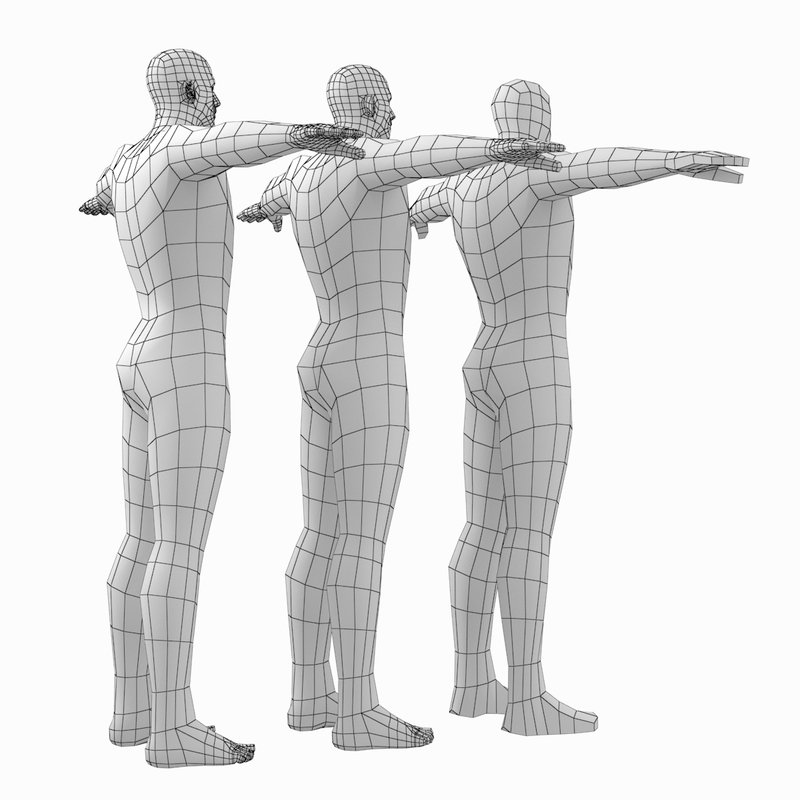 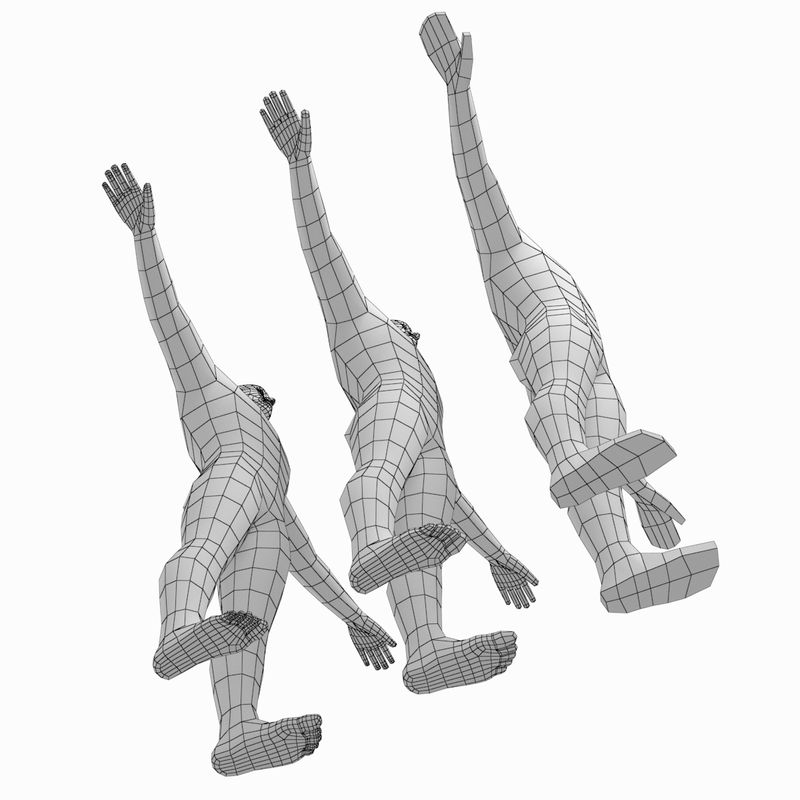 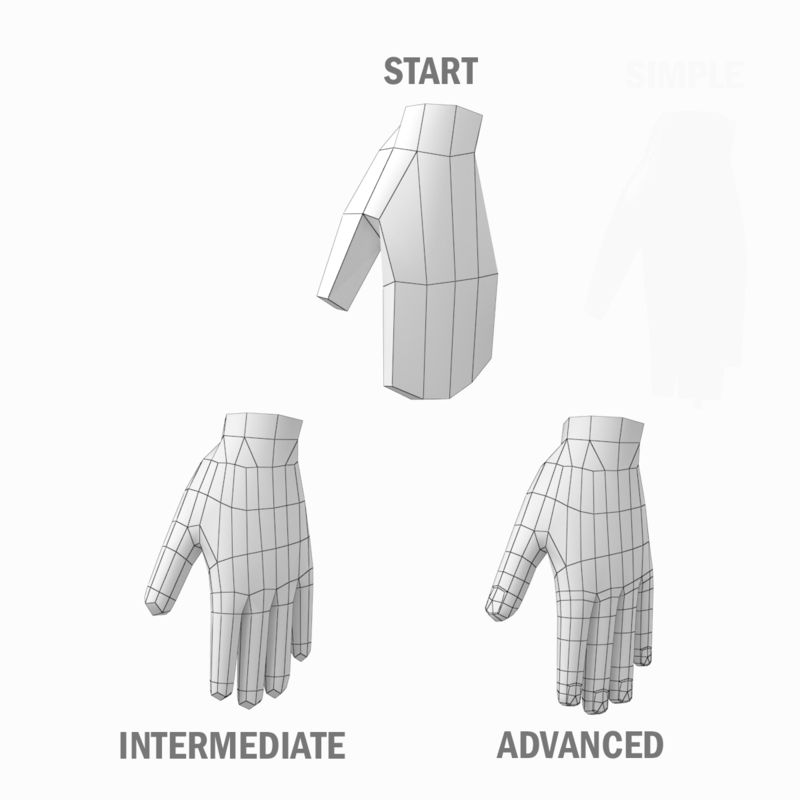 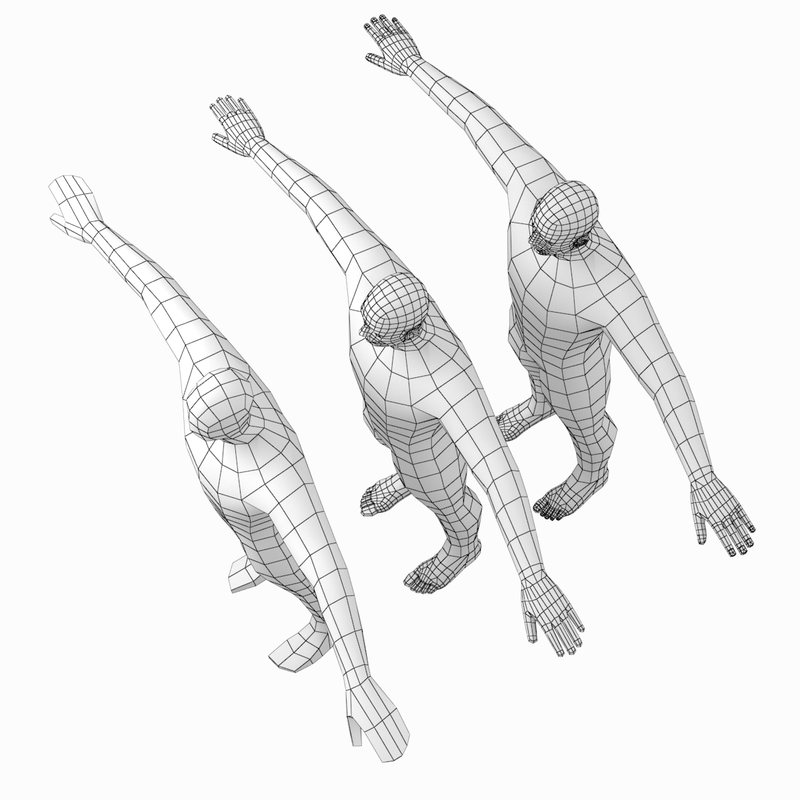 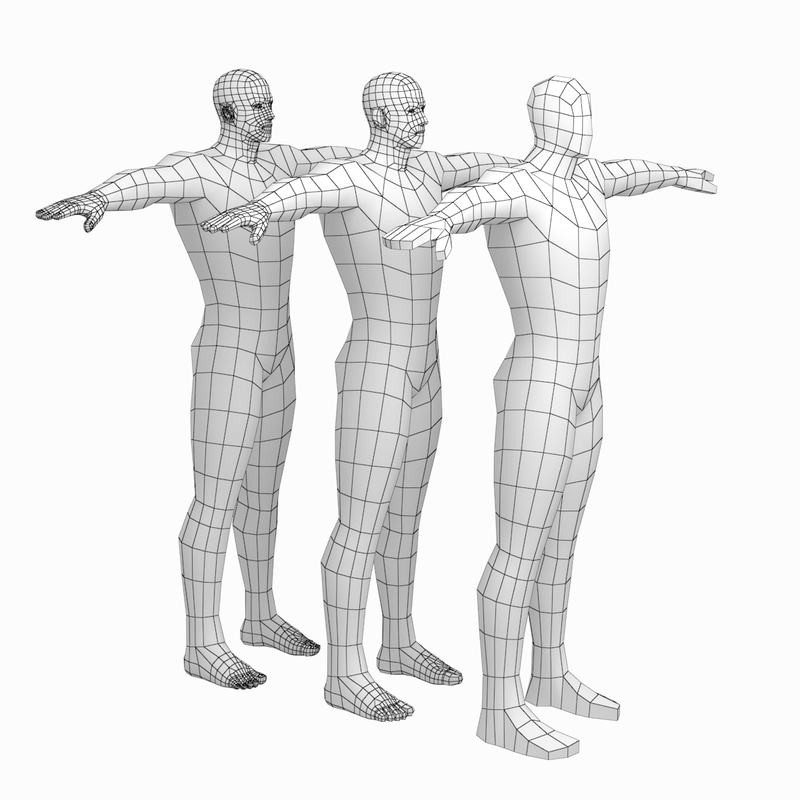 Basic low-poly mesh of hero male body in T-Pose. 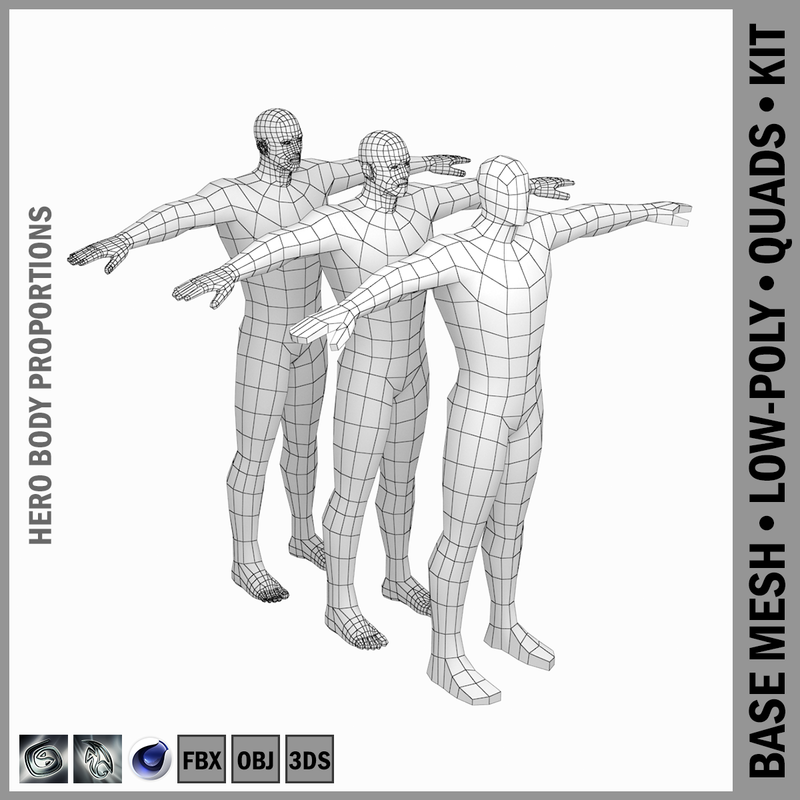 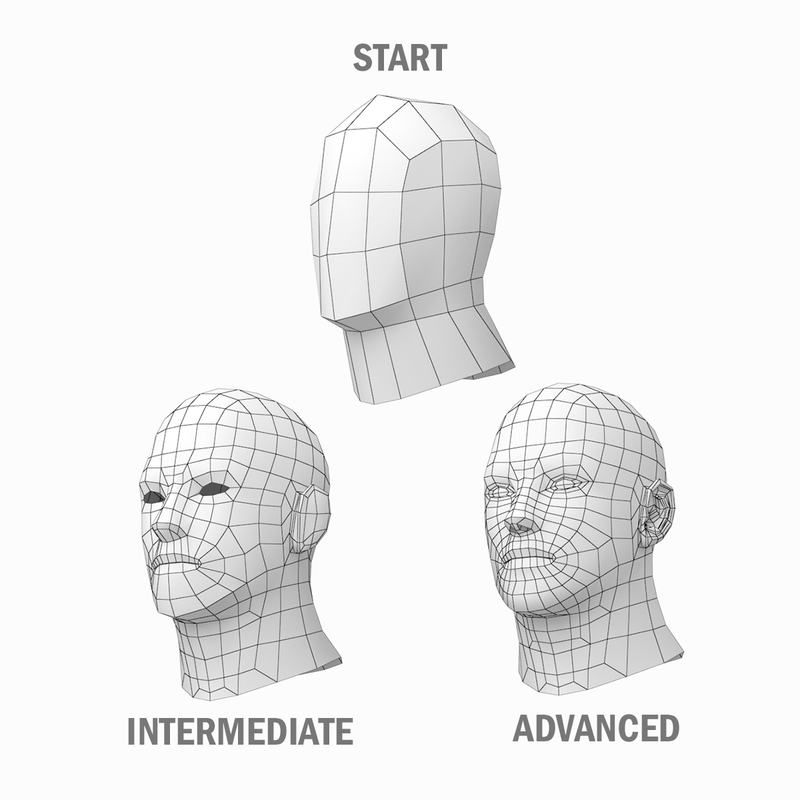 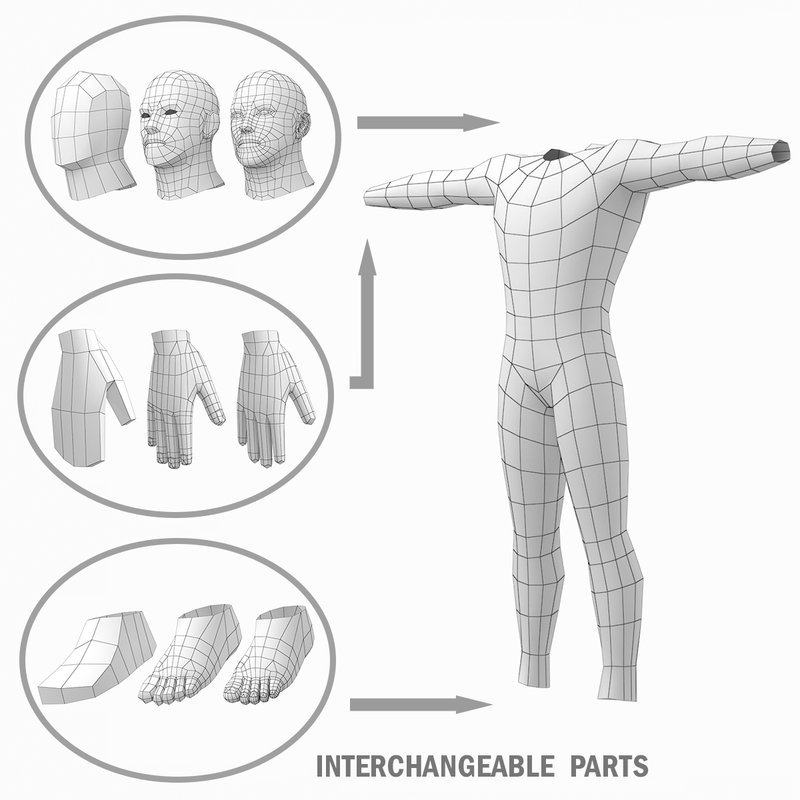 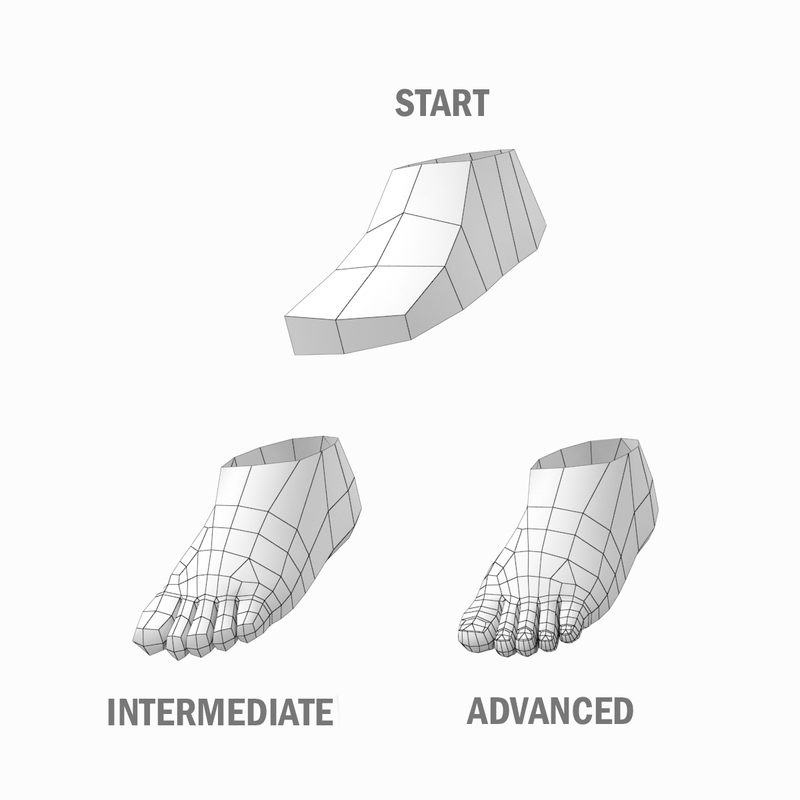 Two extra mesh density levels for head and limbs are provided: intermediate, advanced. Each density level of mesh is put in a separate file.